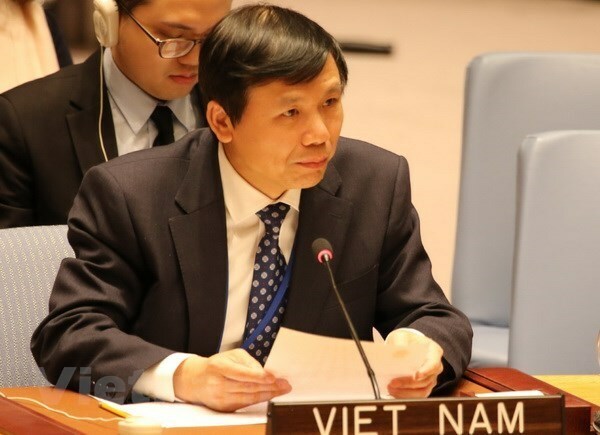 Vietnamese Ambassador Dang Dinh Quy noted the efforts by the Association of Southeast Asian Nations (ASEAN) to narrow development gaps among its members at a session of the Commission for Social Development of the UN Economic and Social Council (ECOSOC). On behalf of ASEAN, Ambassador Quy, head of Vietnam’s permanent mission to the UN, shared the common concern about inequalities in each country and between different countries. Opportunities to access health care and employment within a country are not spread evenly due to gender inequality and inequality between rural and urban areas, along with other factors. Meanwhile, challenges like climate change, epidemics, natural disasters and environmental degradation have been growing around the world, threatening efforts towards the Sustainable Development Goals. The diplomat noted that ASEAN has made efforts to narrow the development gap through the Initiative for ASEAN Integration – a cooperation framework for more developed countries to assist others and create conditions for all member nations to develop and share the benefits of regional connectivity. ASEAN is well aware of the increasing role of information technology and the importance of capitalising on chances created by the scientific and technological revolution to benefit people. In particular, the ASEAN Smart Cities Network was set up to balance economic, social and environmental aspects, Quy said. He also affirmed ASEAN’s commitments to improving living standards for the elderly, the disabled, children, women and young people through initiatives like the action plan on mainstreaming the rights of persons with disabilities and the ASEAN Youth in Climate Action and Disaster Resilience Day. Member countries have also worked to promote sustainable employment and healthy and safe workplaces for labourers through occupational safety and green job development programmes. In his speech, Ambassador Quy also highlighted cooperation between ASEAN and the UN through inter-sectoral dialogues, experience sharing, capacity building and technical support, which have affirmed the necessity of cooperation in realising the goals of the 2030 Agenda for Sustainable Development. Income inequality has increased in many countries, while health and education disparities remain high, showing the world is moving in the wrong direction, he added.